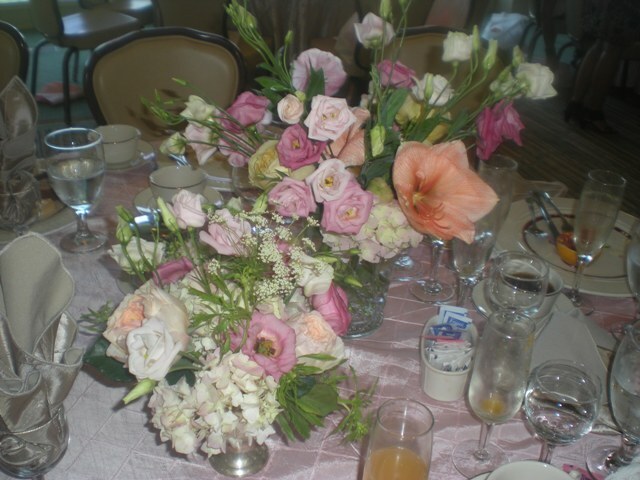 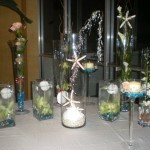 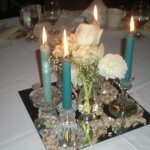 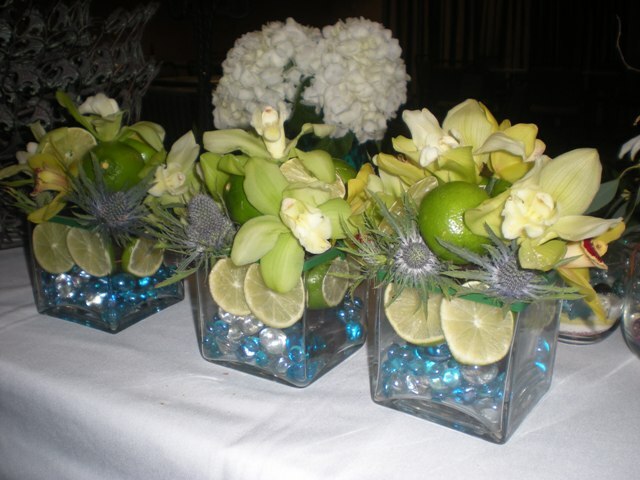 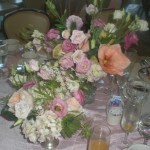 Centerpieces further carry out the look, feel or theme of your wedding reception decor. 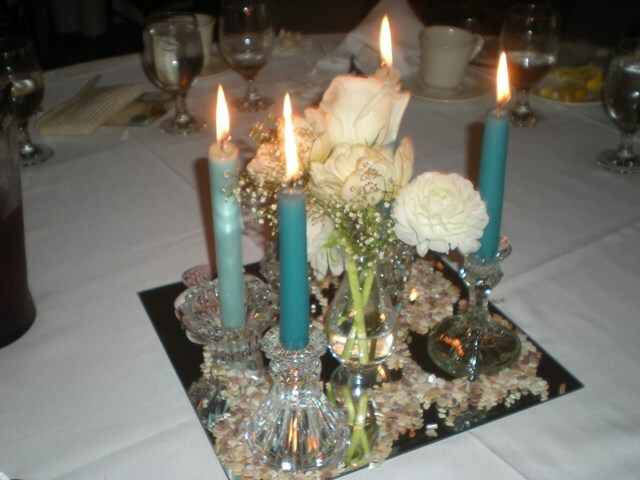 They can range from very expensive elaborate arrangements to the more simple arrangement with candles and hurricanes accented with live or silk rose petals to bring out your color theme. 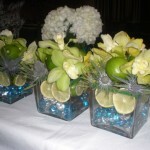 To create interest every arrangement does not have to be the same. 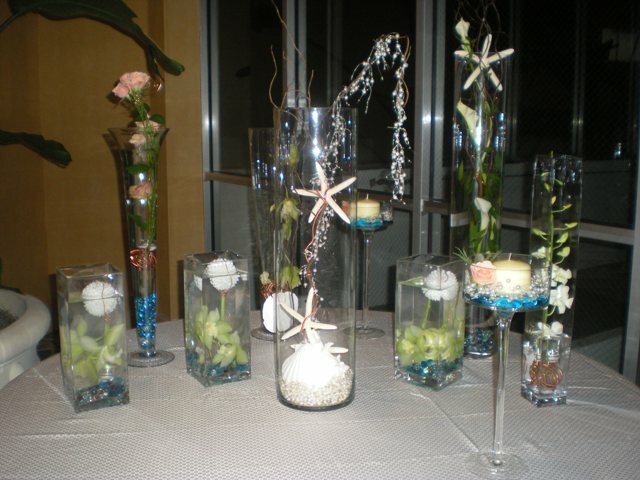 They can be various heights, looks, colors, etc.